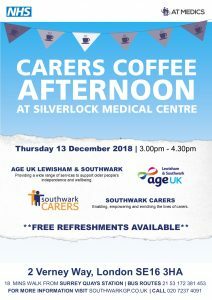 Join us for our Carers Coffee Afternoon taking place at Silverlock Medical Centre on Thursday 13 December 2018 3.00pm-4.30pm. See poster below. Come along to meet other carers in the area, and get access to support and information on services to help you and those that you care for. 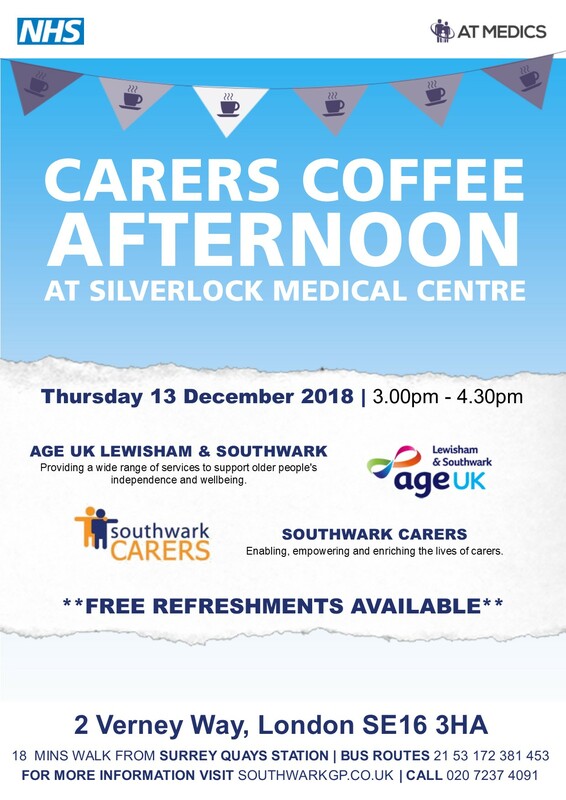 We will be providing FREE refreshments and will be joined by colleagues from Age UK Lewisham & Southwark, who provide a wide range of services to support older people’s independence and wellbeing.